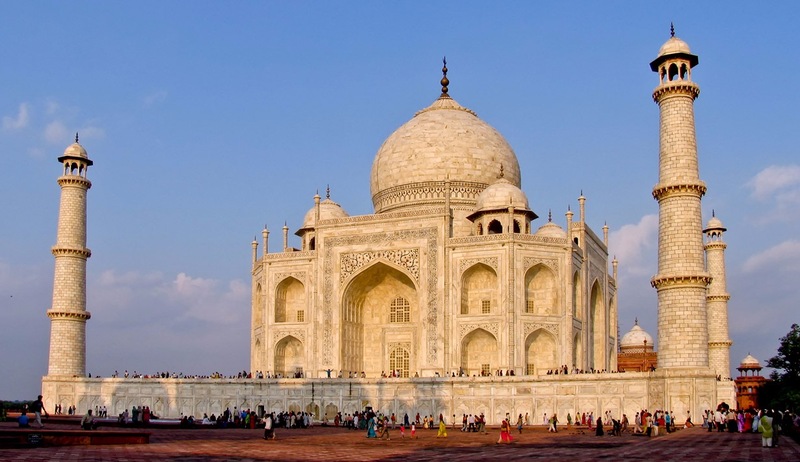 This superb itinerary really does offer the best of North Indian wildlife, especially for the enthusiast for whom the priority is to see tigers and the rare Asiatic lions, but who also does not want to miss out on the most spectacular historical sites of the Golden Triangle cities of Delhi, Agra and Jaipur, with such highlights as the Taj Mahal, Fatehpur Sikri and the amazing Amber Fort. International flights are not included as part of your package but can be arranged and added with ease. This morning you will arrive independently to Mumbai airport and take a morning flight to Rajkot. 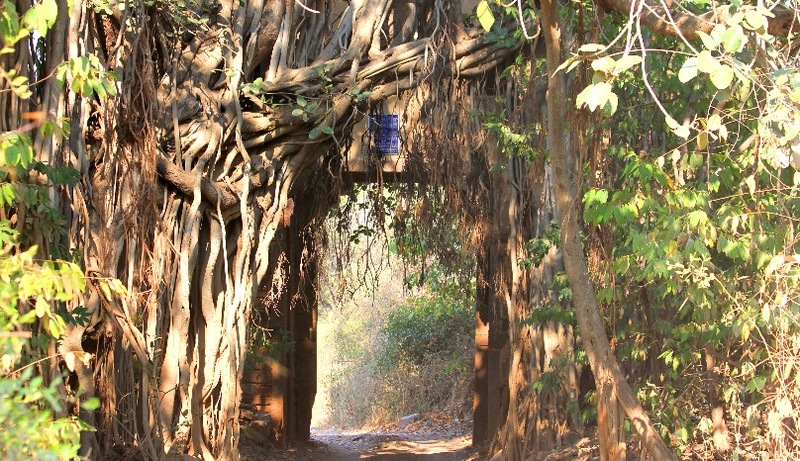 Upon arrival in Rajkot you will be transferred by private car to Sasan Gir, an approximately 4-hour drive. 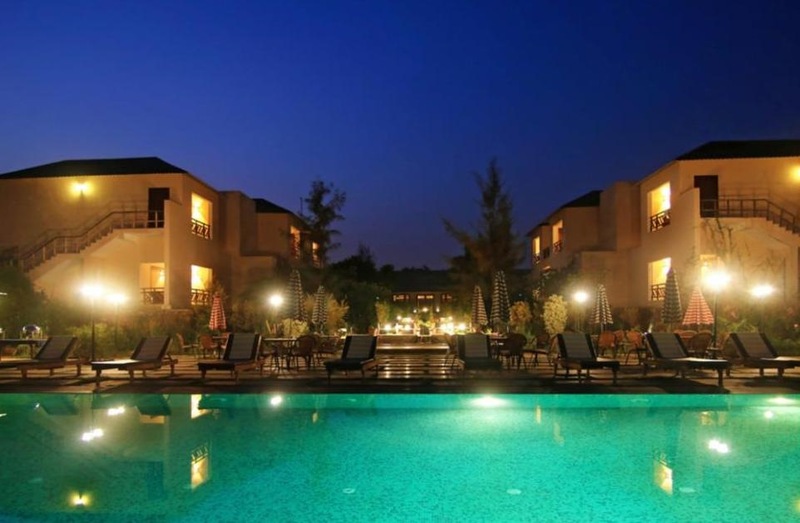 After checking in at the Gir Lion safari Camp the rest of the evening will be at your leisure. 3 nights accommodation at Gir Lion Safari Camp on a full board basis including breakfast, lunches, dinners and game drives. Morning and afternoon jeep safaris into the park looking especially for the rare Asiatic lions, but also for leopards, other mammals and spectacular birdlife in the park. A further morning jeep safari into Gir National Park followed by an early afternoon drive of about 3 hours back to Rajkot airport for the 17.40 flight to Mumbai. Upon arrival in Mumbai you will check in to the Waterstones boutique hotel for an overnight stay with breakfast included. Early morning transfer by private vehicle to the airport for 11.35 flight to Jaipur. 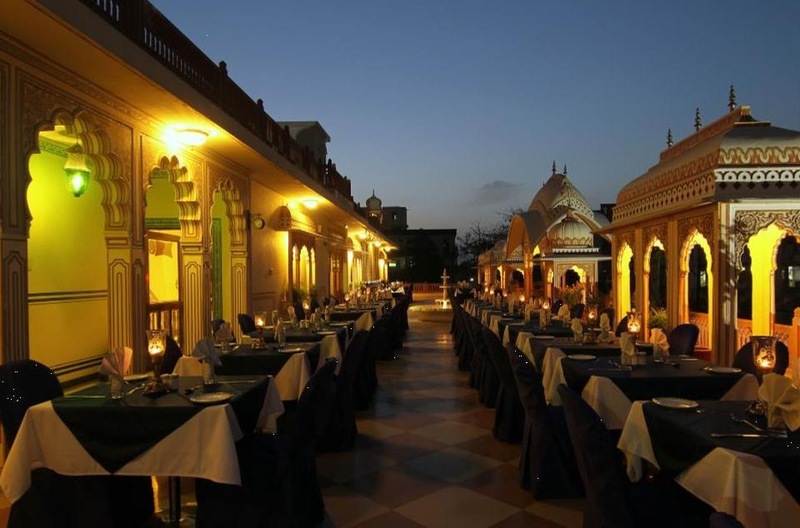 Upon arrival in Jaipur a private transfer will take you to Ranthambore where you will check in to Ranthambore Kothi. The rest of the evening will be at your leisure. 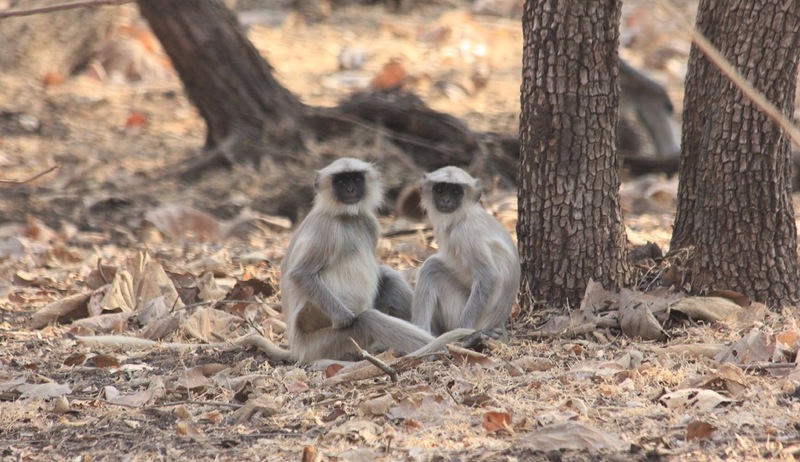 3 nights’ accommodation at Ranthambore Kothi on full board basis including breakfast, lunches, dinners and shared game drive. Morning and afternoon jeep safaris into the national park, looking not only for tigers but also enjoying sightings of other wildlife and birds and the picturesque ruins of palaces and temples in this varied landscape. 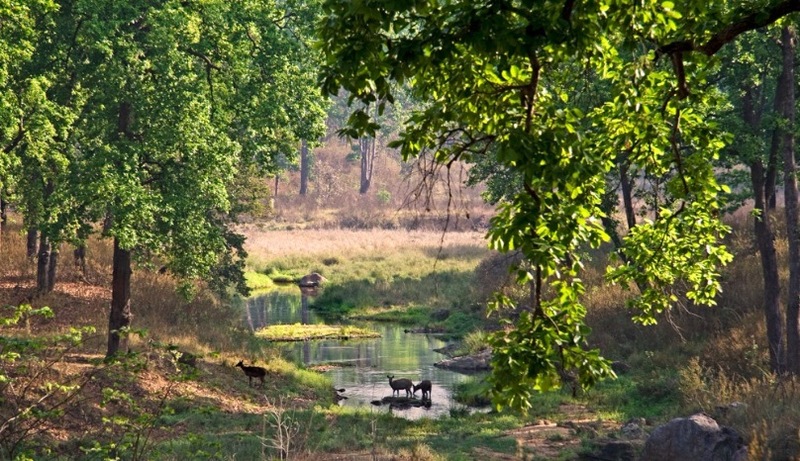 Once the hunter grounds of the maharajahs of Jaipur and later the British, Ranthambhore National Park (Sawai Madhopur) was declared a wildlife sanctuary in 1955. 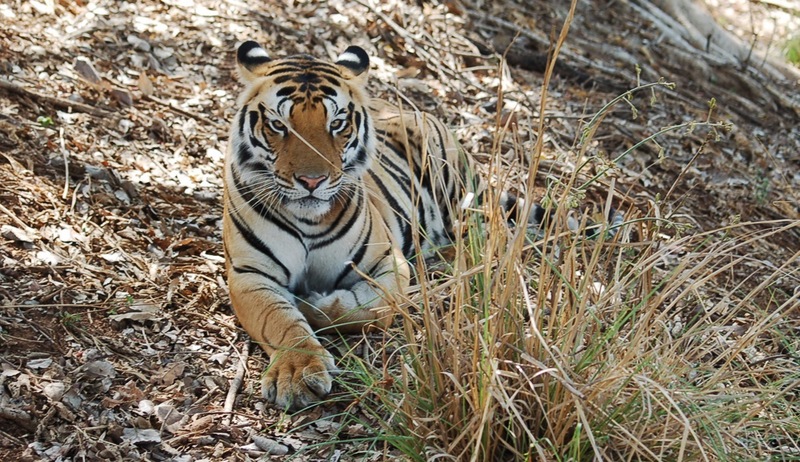 The wildlife, including the tiger population is thankfully flourishing so the Indian government have decided to increase the national park to encompass a range of hills close to Ranthambhore to ensure the Tiger populations have the space to grow. Expect to see tiger, sloth bear, mongoose, samber, cheetal, langur monkeys and if you are lucky also leopard, hyena, jackal and march crocodile. Do not miss the opportunity to visit the fort which is a wonderful backdrop to the majestic landscape and its many lakes. Full board accommodation at Ranthambore Kothi. A last jeep safari in the park this morning, and lunch at the hotel before departing by road to Jaipur, the capital of Rajasthan. 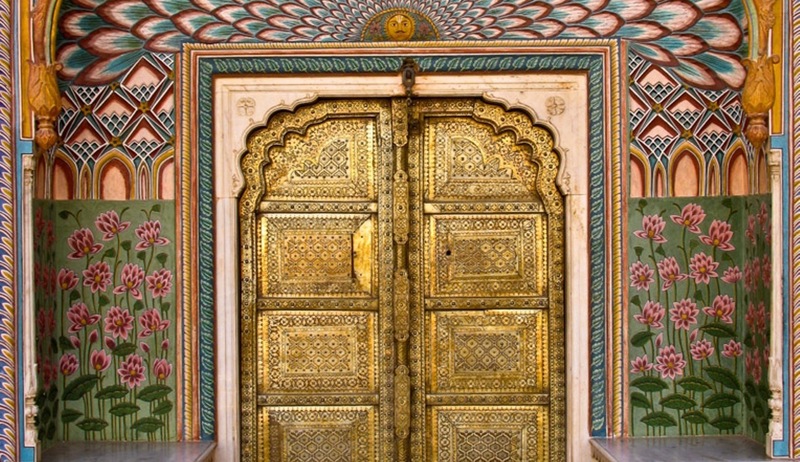 Jaipur is sometimes called the 'Pink City', a colour representing hospitality in Rajasthan, so named to celebrate a visit by the Prince of Wales in 1876. 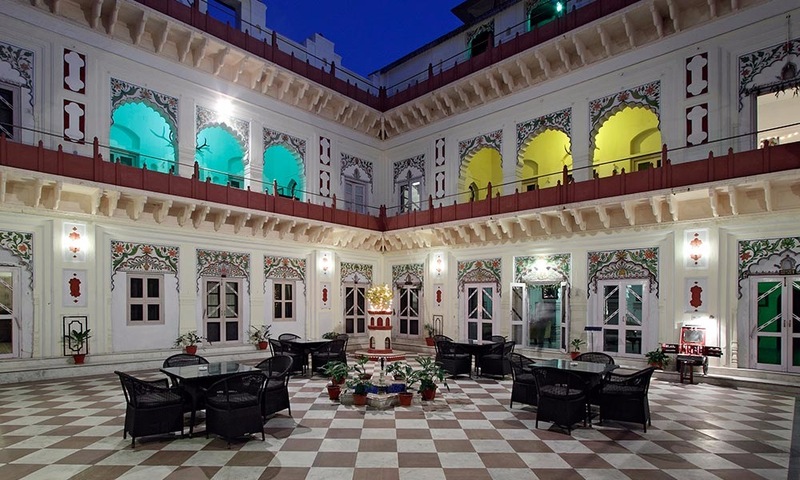 Tonight's accommodation will be at the charming Shapura House, a converted former home of a local royal family, featuring a fusion of Indian and Mughal architecture. 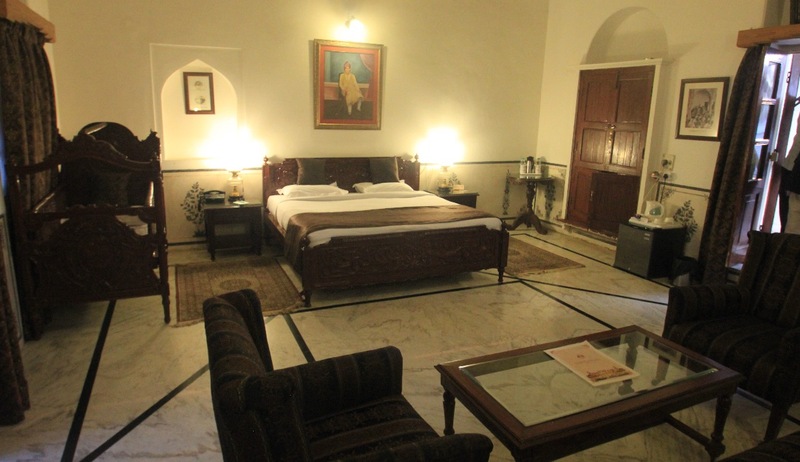 2 nights' accommodation at Shahpura House with breakfast included. This morning enjoy a tour of Jaipur city, including the ornate City Palace and Hawa Mahal facade, and the fascinating Jantar Mantar astronomical observatory with its enormous stone sundial and other instruments for interpreting the heavens. In the afternoon head out of town to Amber Fort, one of the many ancient forts surrounding Jaipur and the former centre of the kingdom before it was moved to Jaipur. Please note that we don't include an elephant ride up to the fort for ethical reasons. This morning take a private transfer by road to Bharatpur (approximately 4.5 hour drive). In the afternoon a tour inside Keoladeo National Park is included. 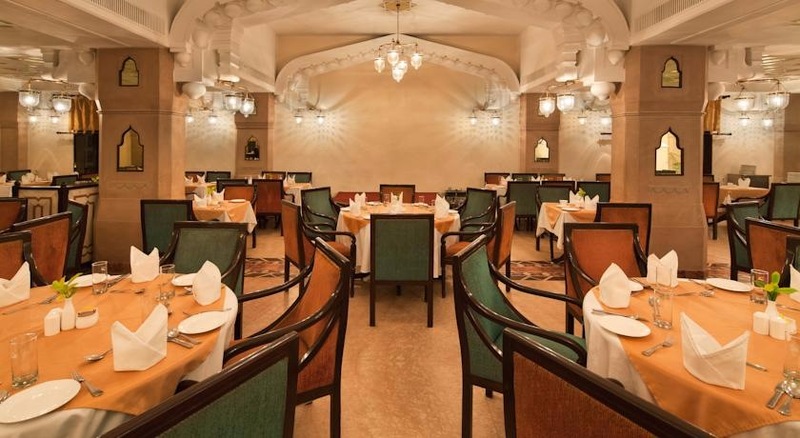 Overnight at the Laxmi Vilas Place, a heritage hotel, with dinner and breakfast included. After a leisurely breakfast this morning, take the short drive to Agra stopping at the ancient, abandoned Mughal capital of Fatehpur Sikri. This afternoon visit the famous Red Fort of Agra. 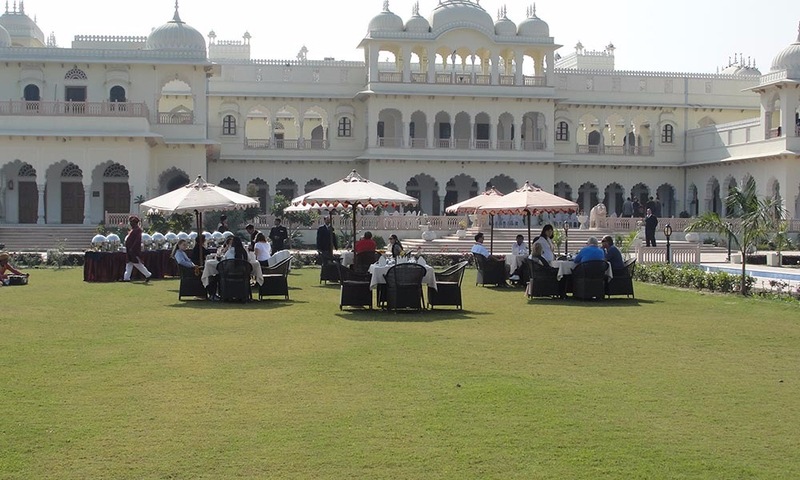 Overnight at the Mansingh Palace Hotel with breakfast included. Early morning guided excursion to the Taj Mahal to watch the sun rise over this magical monument to love. 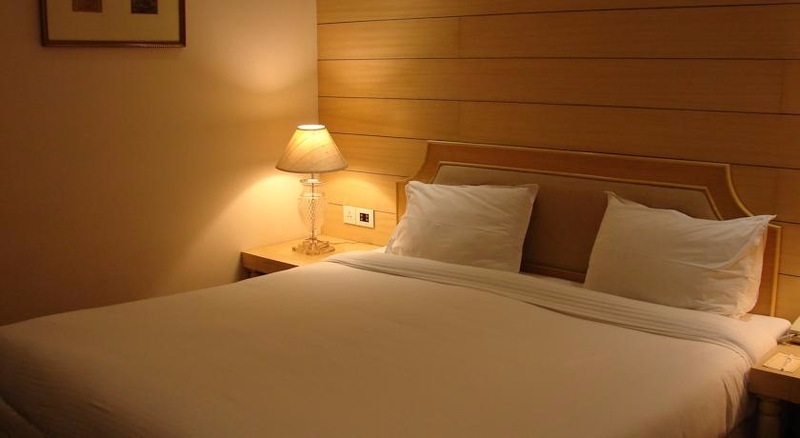 Later, travel by road to Delhi International Airport for a convenient final night before your departure tomorrow. Overnight at the Red Fox Delhi International Airport. On day 13 after breakfast you will be transferred to the airport terminal for your homeward flight. This luxury hotel has been created from a royal palace and retains many of the original features. 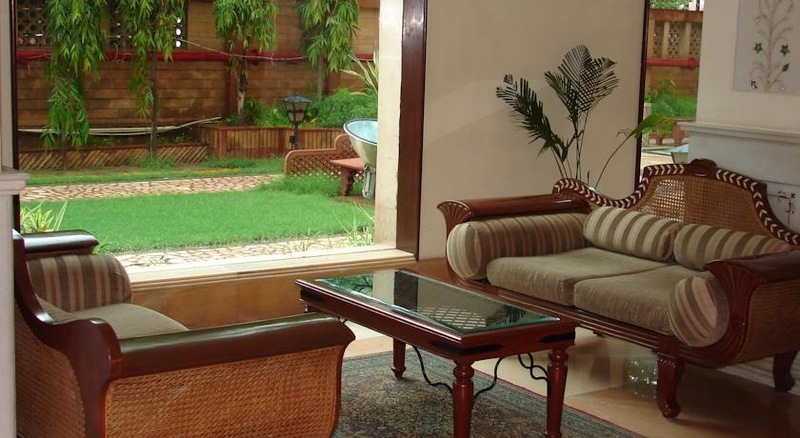 Rooms are furnished in traditional style, with all modern facilities. The hotel also has a spa offering a variety of treatments and massages. 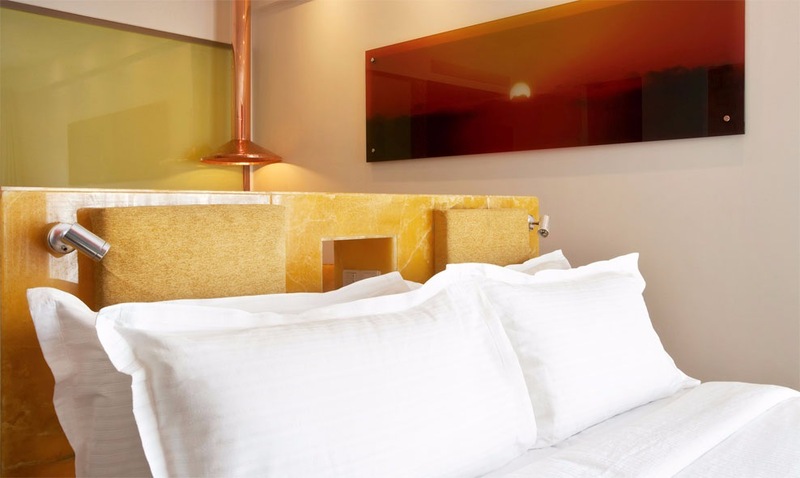 A total of 30 en-suite rooms, including a Royal Suite, all with air-conditioning. Courtyard dining room offering a la carte menus using fresh local ingredients. 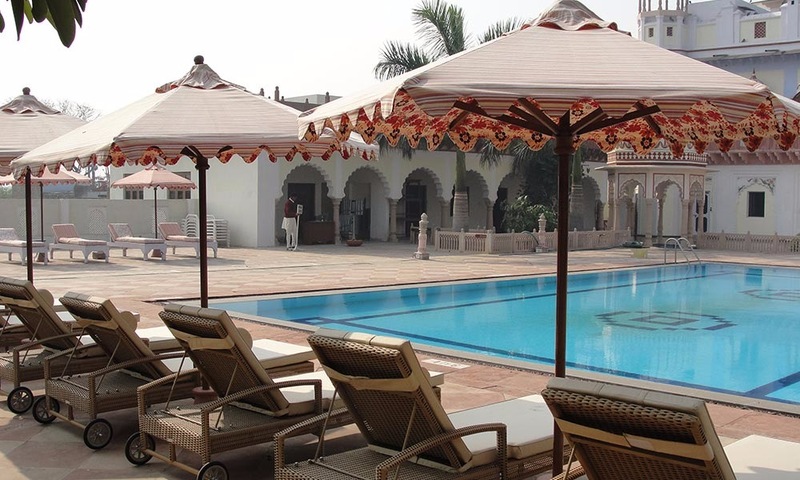 A first class hotel, centrally located in the city of Agra with views to the Taj Mahal. 100 well furnished rooms with all facilities, including air-conditioning, TV, safe, mini-bar, wifi, etc. 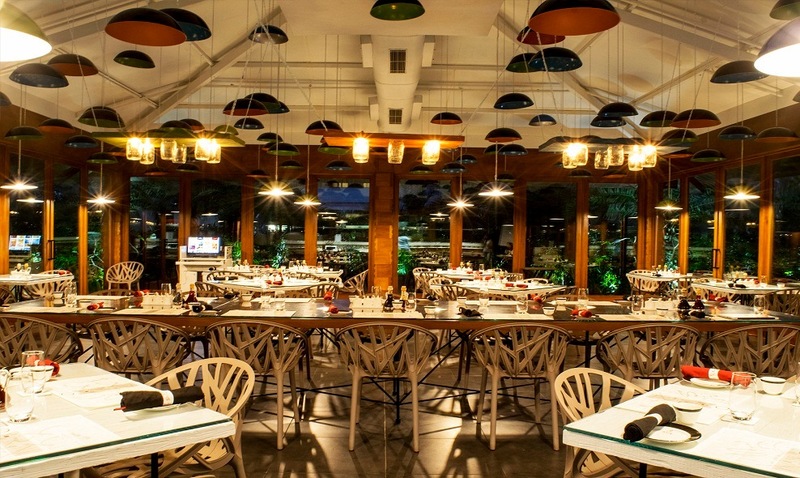 Multi-cuisine restaurant, all-day dining options, bar, health club and swimming pool. 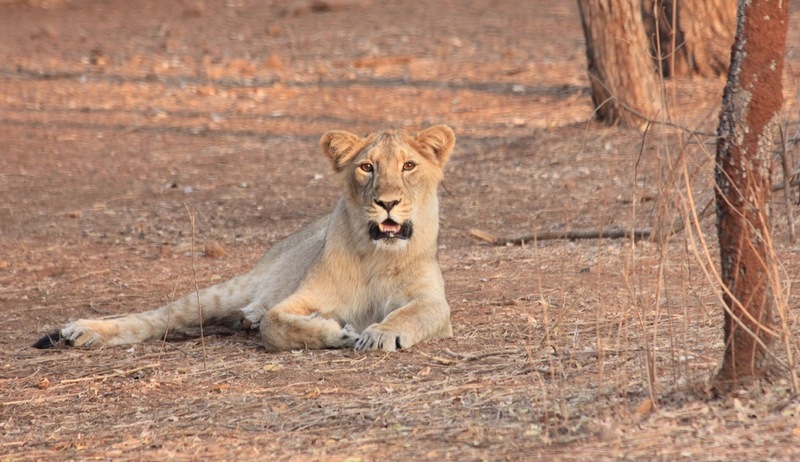 Located amongst a Mango orchard facing the Hiren River on the fringes of the thick jungles of Sasan Gir, the most celebrated wildlife sanctuary in India, you will find the incomparable Gir Lion Safari Camp. 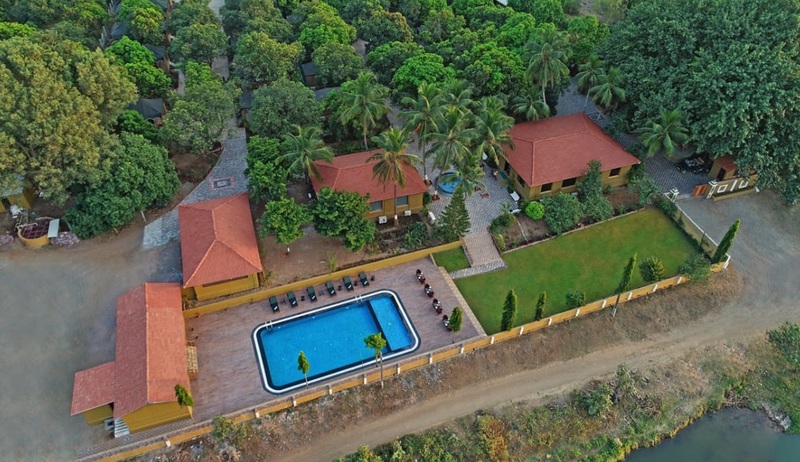 Offering pristine views of the surrounding vivid wilderness and 10 unique jungle cottages, this is the perfect place from which nature enthusiasts can enjoy searching for observations of Gir’s abundant animal populations including 400 Asiatic Lions and 300 Leopards, 38 other species of mammal and 300 species of common and rare birds. Luxury facilities include a fine dining restaurant, and each of the 10 boutique cottages guarantee a comfortable night’s sleep after a long day of safari adventures. Each tented cottage has been decorated in a unique style and features include open showers and bathrooms with a bathtub, large comfortable beds, Satellite TV, Wi-Fi connection, well-stocked soft bars and private sit-out areas. 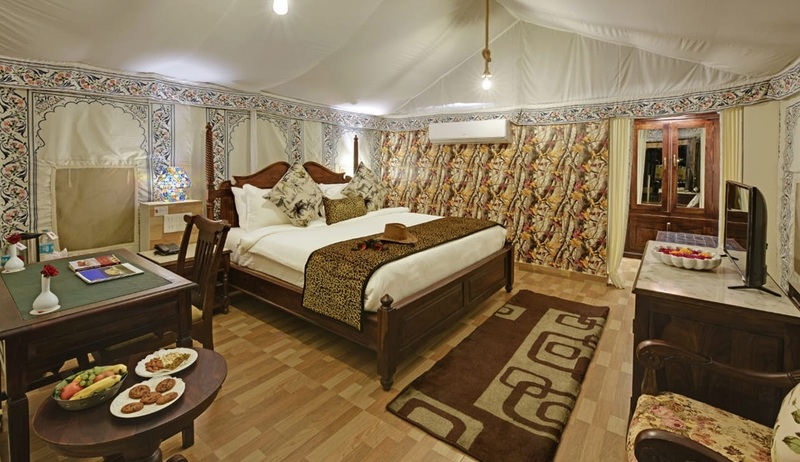 Activities on offer at the camp include birdwatching trips and jeep safaris. 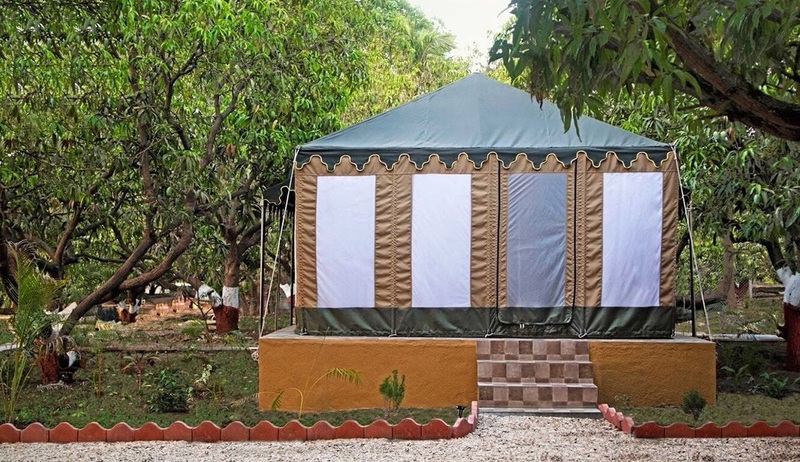 Located conveniently close to the National Park and surrounded by lush green gardens, the Ranthambore Kothi offers a comfortable base for your explorations of the tiger reserve. 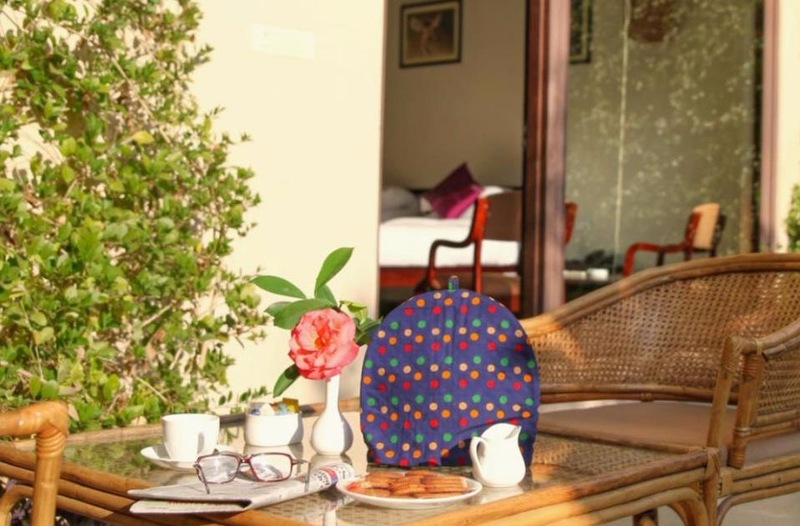 The 28 stylish and spacious rooms are decorated with colourful local touches, and include private balcony or terrace, mini bar, tea & coffee making facilities, in-room safe and air-conditioning. The hotel has a large swimming pool to relax by in between your morning and evening forays into the jungle, and you can chose between indoor or outdoor dining for your well-deserved meals, following your active days of tiger spotting. 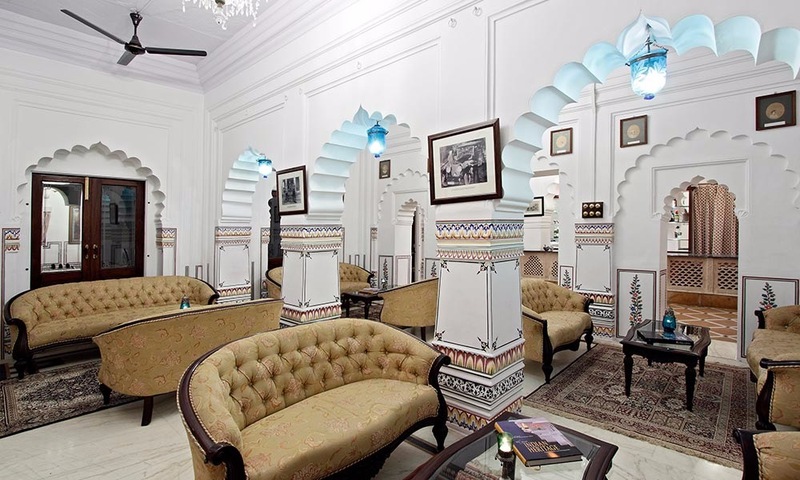 Converted from the former town house of the royal family of Shahpura (a small principality near Jaipur), the Shahpura House has been lovingly restored to its former magnificence. 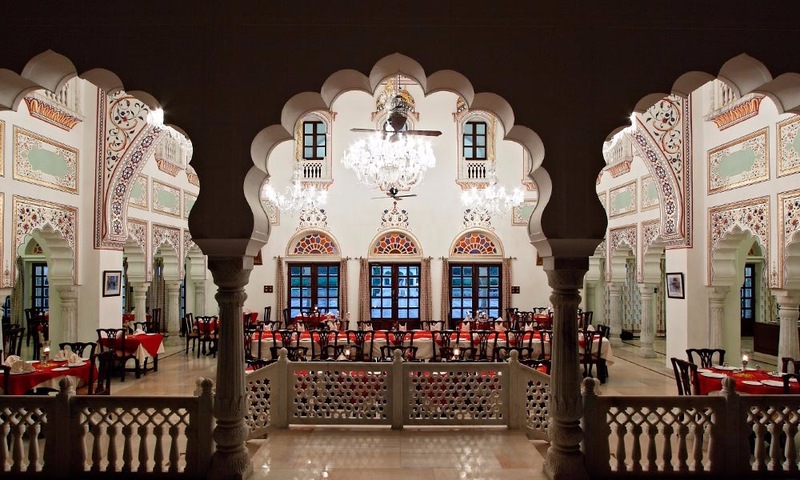 The traditional Rajput architecture, a mixture of Indian and Mughal styles, is enhanced by its Shekawhati style frescos, old photographs and stately furnishings. 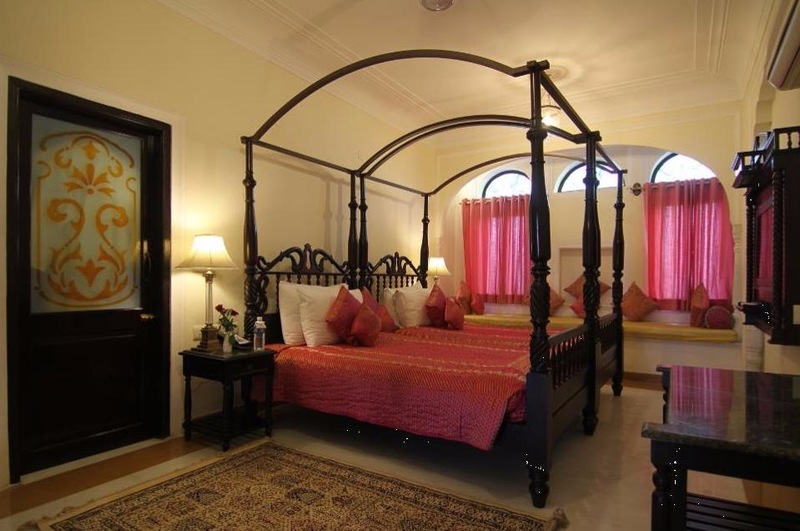 All 65 rooms at Shahpura House are unique and beautiful, and are equipped with modern facilities to make guests feel utterly at home. Room facilities include satellite TV, wi-fi access, in-room safe, mini bar, tea & coffee making facilities and marble bathroom. 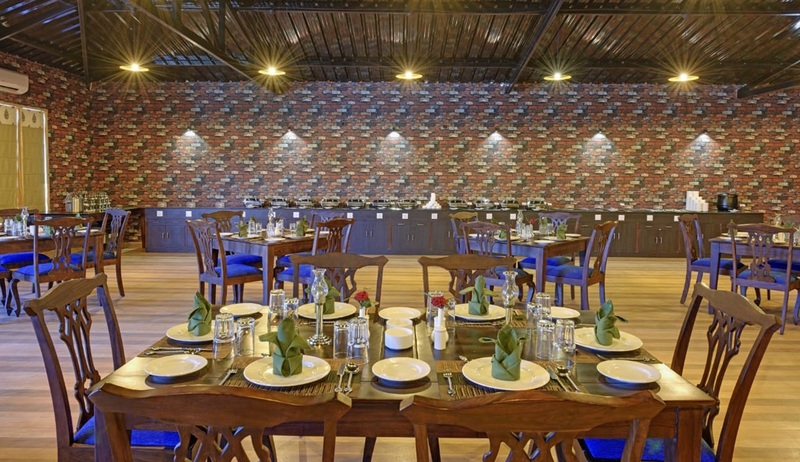 The lavishly decorated restaurant serves a combination of North Indian specialities and continental cuisine. 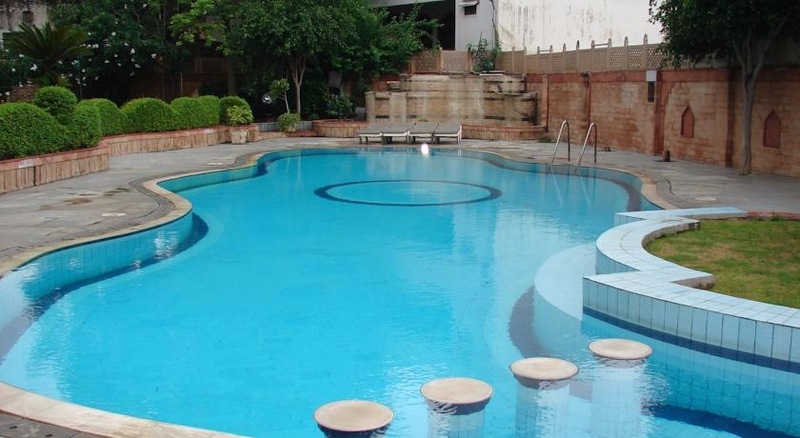 There is also an outdoor swimming pool, and spa treatment room. 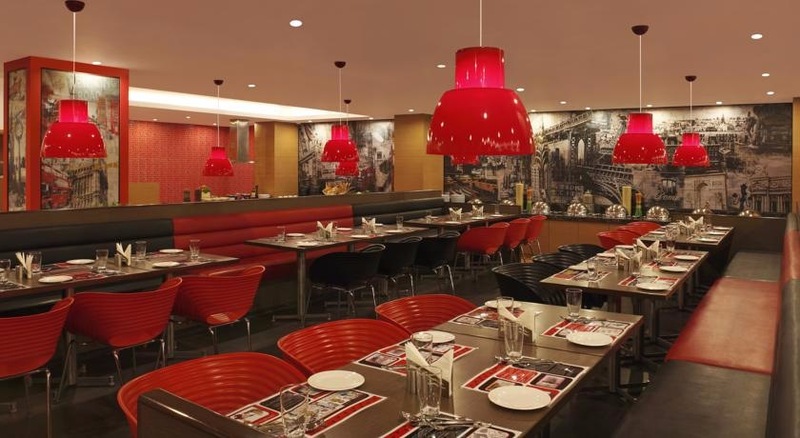 Modern and comfortable, the Red Fox is a good choice for an overnight stay at Delhi Airport. With a 24 hour front desk, hi speed wi-fi and multi-cuisine restaurant, all your practical needs are met whilst you wait for your onward flight. The 207 smartly designed rooms and suites are air-conditioned and offer LCD TV, mini fridge, tea & coffee making facilities and high quality mattress. 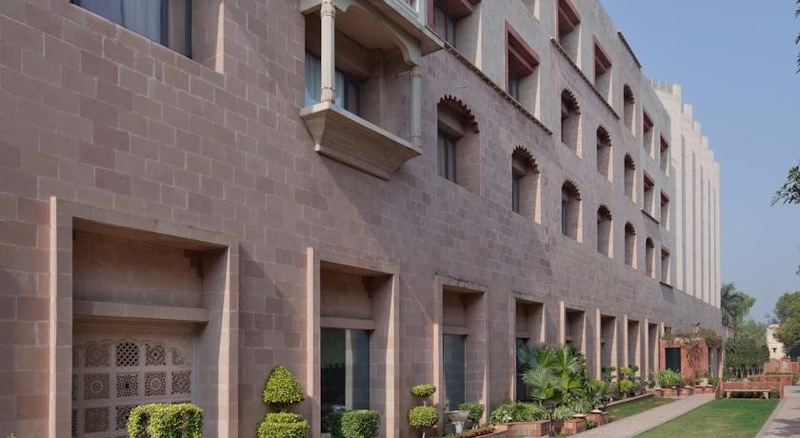 Located at Mumbai Airport, convenient for those taking morning flights, the Waterstones Hotel is a boutique property, modern and stylish in design, and offering a range of facilities including a large outdoor swimming pool, spa, restaurant and bar. 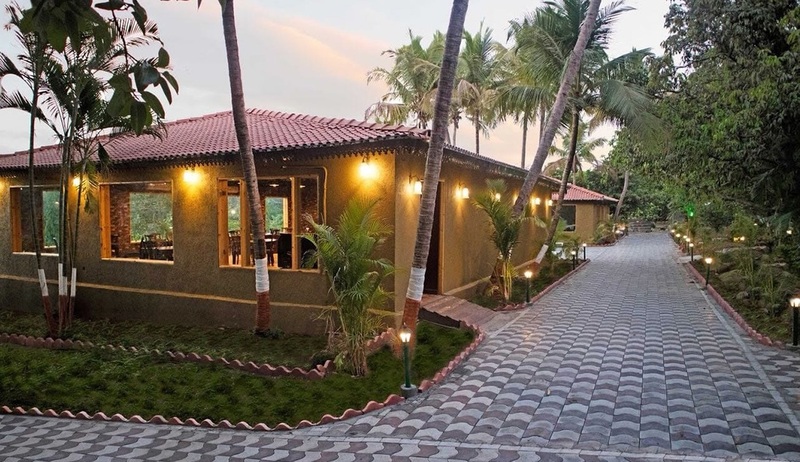 The 99 nature-inspired rooms are cosy, with separate sleeping and seating areas, and offer flat screen cable TV, minibar, in-room safe and tea & coffee making facilities along with nice touches such as a pillow menu and complimentary newspaper. .